We've approached the end of Summer and it's time to say hello to my four favourite months of the year. These final few months are truly the most wonderful time of the year *wink wink* and I can't wait to start embracing the cosy season. But before I fully switch to Autumn mode let's take a look back at my last Summer favourites of 2017. One: August was filled with many days of an ominous sky and torrential rain but Urban Decay's latest scorching launch, the Naked Heat palette added some warmth to the gloomy days. 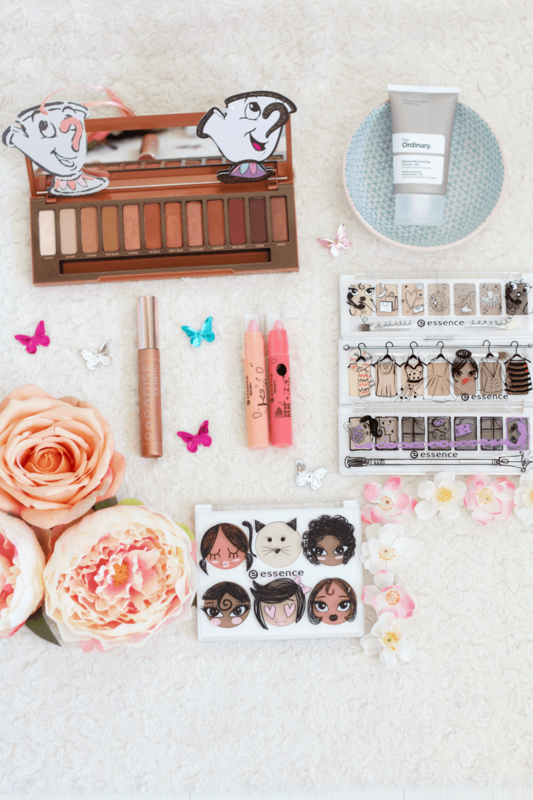 This palette is a warm eyeshadow lover's dream and it's become a staple in my makeup bag. Two: Another new makeup release I've been reaching for a lot recently is L'Oreal's Paradise mascara. Every time I apply it I'm left with long, voluminous lashes with no smudging or crumbling, and it's held up well when I've cried too. I hardly ever buy high-end mascaras because I think the high street options are just as good but the luxurious packaging of this makes it feel more luxe than it is. Three: It's been a hectic month for me with moving house and getting ready to start university soon. I haven't had much time to pamper my skin so I decided to strip back my skincare routine to the basics last month, and to my surprise, it's actually helped clear up my skin. I re-incorporated La Roche Posay Effaclar Duo into my routine and I would describe it as clear skin in a bottle *insert winking emoji* I had been using The Ordinary Niacinamide and Zinc prior to Effaclar, and although I found it effective, due to other ingredients designed to tackle breakouts such as Salicylic Acid the effaclar cream gives better results in a shorter amount of time. 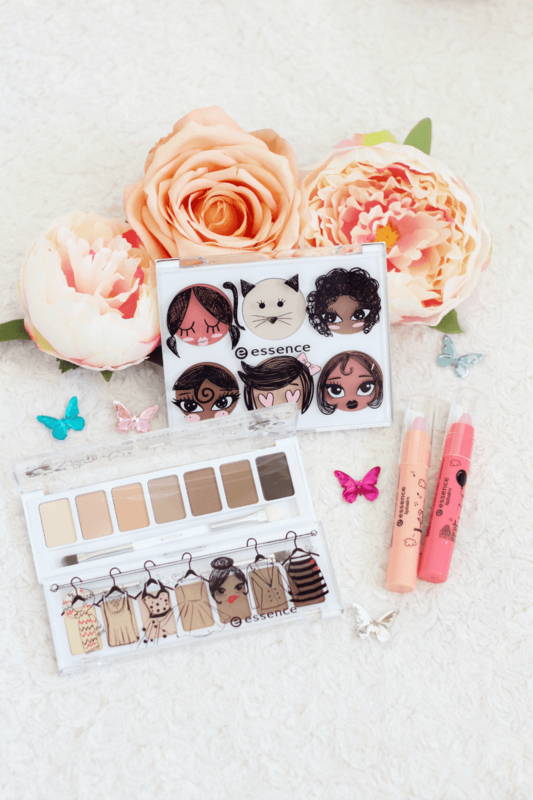 Four: Last month I kindly received some products from Essence's latest collection - "& the lovely little things" - to try and I found some gems in the range! The standout product for me was without a doubt the "& my crazy family" face palette* which contains two highlighters, two blushes and two contouring powders. The two highlighters are beautiful, one looks like a pale icy white shade in the pan but on the skin, it translates as a dreamy champagne shade, whilst the other hue is a wearable pink shade. One of the contouring shades is slightly too warm-toned for contouring so I use it as a bronzer which is handy as you have everything you need for a healthy radiant complexion in the one palette. You can also find a strawberry and mango scented lip balm* in the range and they've been a great addition to my transitional makeup bag. They hydrate the lip well before lipstick application but they're not overly hydrating and glossy so I can still apply them before a matte lipstick. I've also been loving "& the love story with my wardrobe " eyeshadow palette*. When used dry there was subtle pigmentation and shimmer coming from the shades so if you're into natural makeup then they would be great! However, if you like something a little bit more intense like I do, then you can wet your brush for a richer pigment and a stunning metallic sheen. The gold shade in the palette was comparable to Mac Amber Lights when applied with a wet brush! Five: As I previously mentioned, I moved house recently so I enjoyed doing a bit of homeware shopping last month. I think it's safe to say I visited every homeware shop in Dublin from EZ Living to Meadows & Byrne to Sostrene Grene to Ikea to Home Sense! I picked up a few new pretty pieces and I can't wait to create some interiors posts when I'm a bit more settled and everything is ready. *Products marked with an asterisk are press samples.